It’s Speedy Tuesday! As you probably know, the first steps on the Moon were set by NASA astronaut Neil Armstrong on July 21st at 2:56 (UTC time) in 1969. 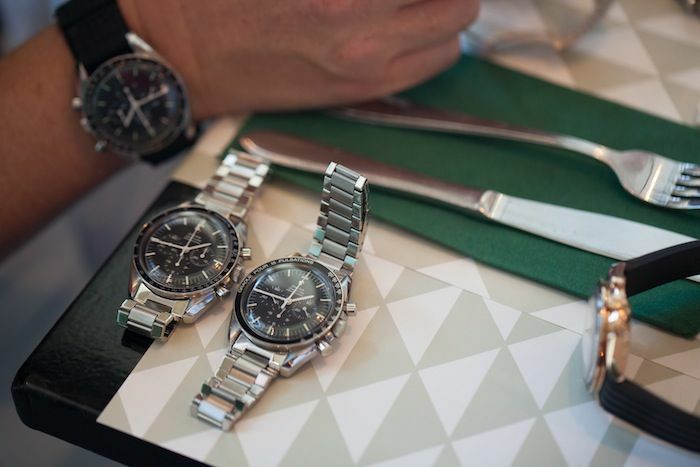 44 years later, a perfect date to have a GTG with Speedmaster enthusiasts to have a lunch. Gerard Nijenbrinks of the in2watches.com watch blog and I invited some Speedmaster collectors and enthusiasts to meet in The Hague, The Netherlands. 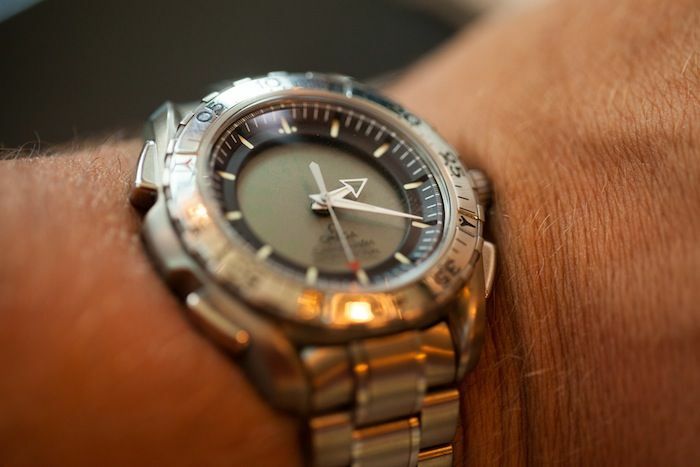 Some of the attendees just have one Speedmaster, others had dozens. 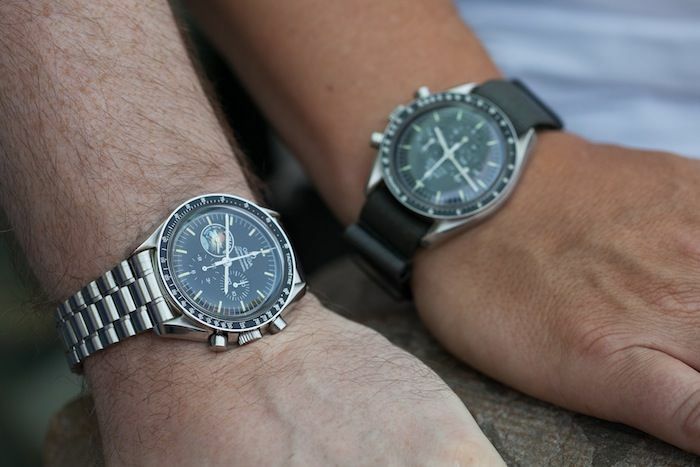 The love for the Speedmaster was very much the same though. From vintage to new, all kinds of Speedmasters were brought to the table. To give an impression of the meeting (or GTG), we show you some pictures taken that day by Bas (one of the attendees). 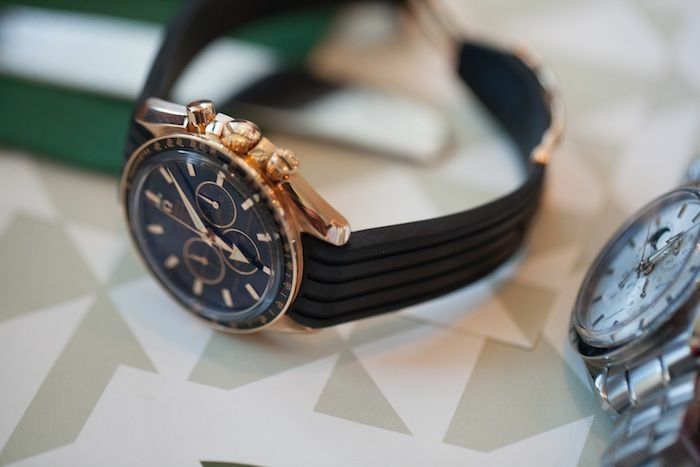 Left, a red gold Speedmaster Broad Arrow ‘Schumacher’ edition. Right, a Speedmaster Professional Moonphase (based on the ’57 re-edition). 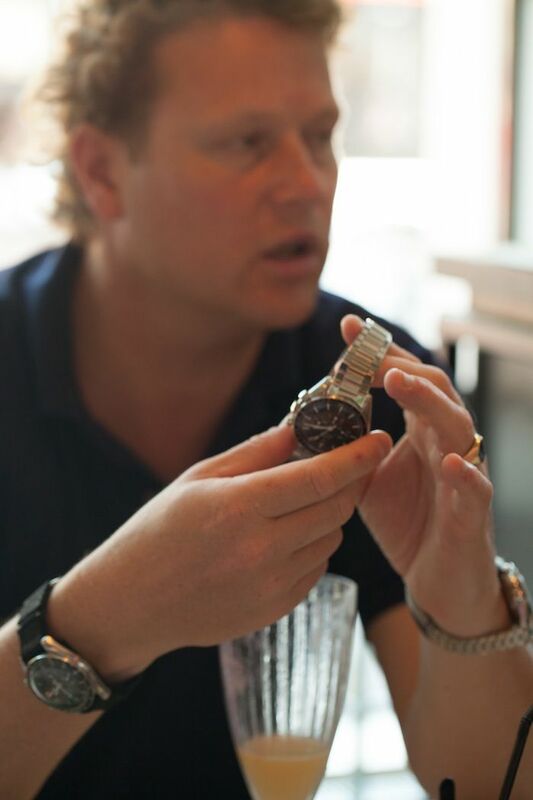 Speedmaster enthusiasts discussing vintage caliber 321 Speedmasters while wearing them as well. 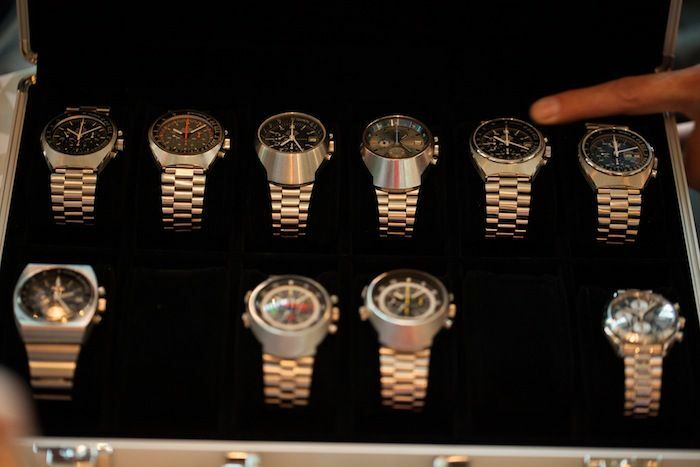 A collection of limited and numbered Omega Speedmaster editions at this GTG. 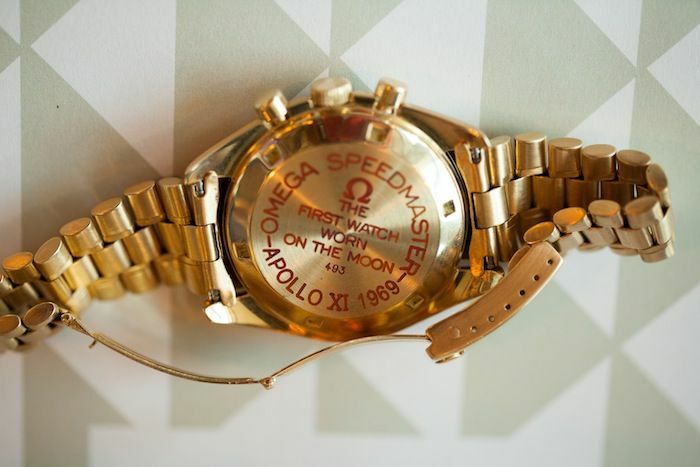 You’ll see a Speedmaster Professional 35th Apollo 11 edition, Mars to Moon edition, Gemini IV edition, Project Alaska and First Omega in Space in the lower row. The upper row has a few older Apollo 11 limited editions (20th, 25th and 30th anniversary editions as well as the Last Man on the Moon edition aka Apollo 17). 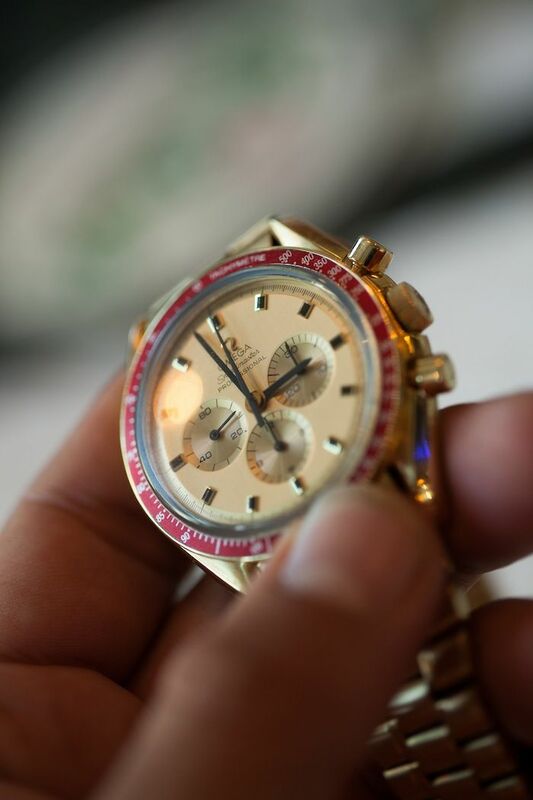 A first generation Omega Speedmaster Professional X-33, check. 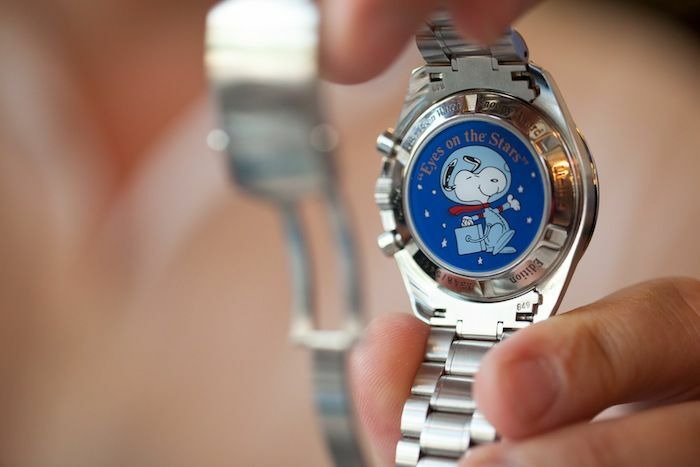 One of the coolest digital watches available, at least we thought so at this GTG. Other watches also allowed at this GTG, especially when they had a bit of NASA history as well. 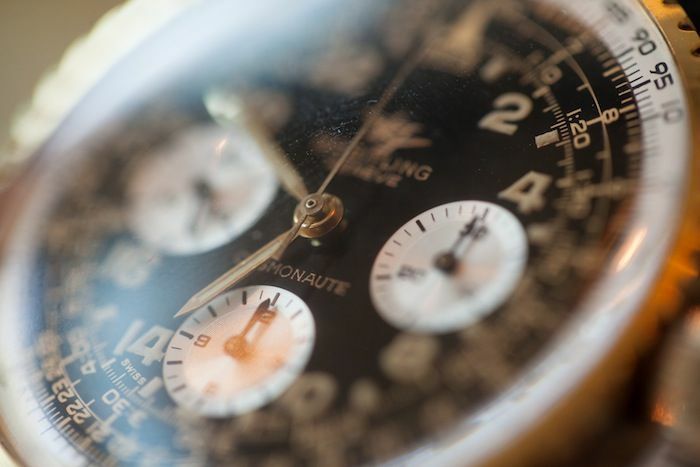 What about this Breitling Cosmonaute? 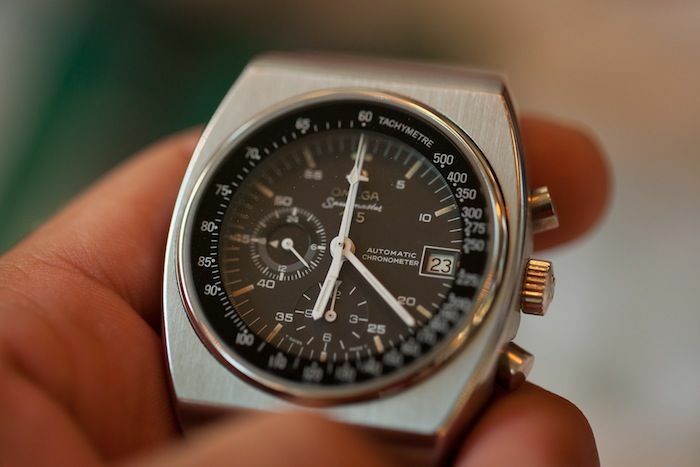 A 40 year old Speedmaster ‘125’. 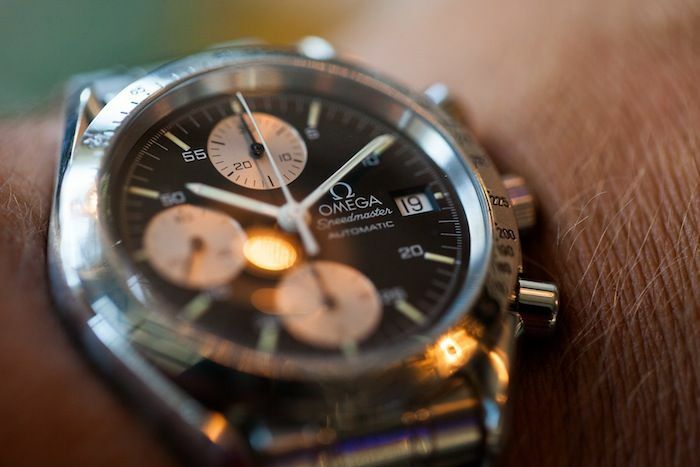 Introduced in 1973 to celebrate the 125th anniversary of the Omega brand, but also being the first automatic chronograph chronometer in the world. We did a review on this watch here. 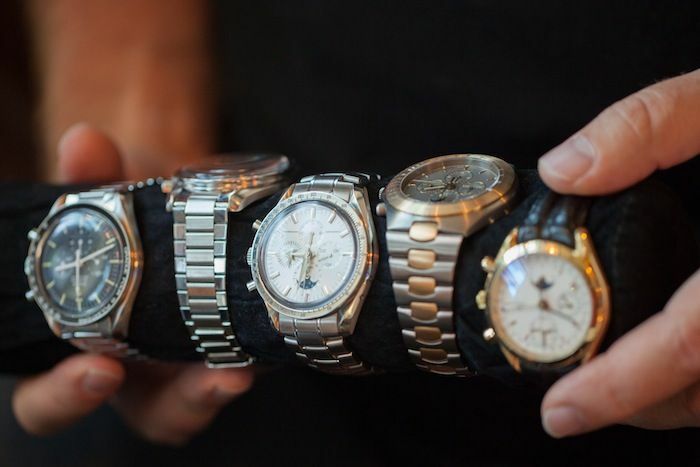 Another collection of Speedmasters, from a 1960 Speedmaster CK2998 to modern ones. And yes, that includes a number of digital watches (we covered the Speedmaster LCD here). 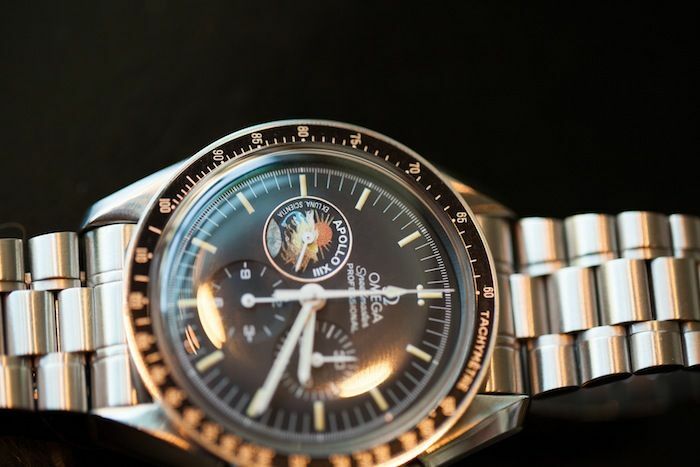 King of the Class Room, the Speedmaster Professional BA145.022 from 1969 to commemorate the NASA Moonlanding. Only 1014 pieces made of which the first 39 went to astronauts and members of the White House. Nixon refused his one (number 1) and is now in the Omega museum in Biel. We did a write-up on the BA145.022 here. 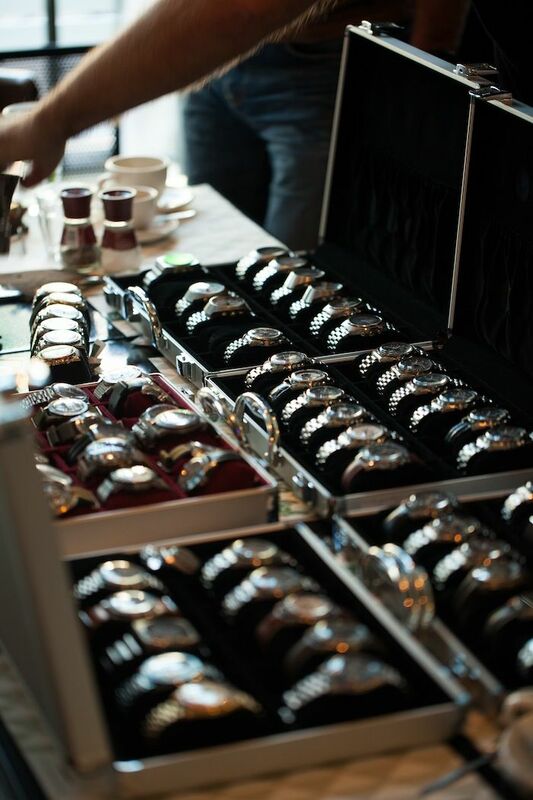 There was also room for more ‘odd’ Speedmaster watches, including two Flightmaster watches. The Mark II introduced in 1969 was the first of the Mark-series that ran to 1985 with the Mark V. In this picture you see two Mark II models, one with the racing dial we showed you here last week. Two Mark III watches with different dials, a Mark IV and Mark 4.5 (Lemania 5100). 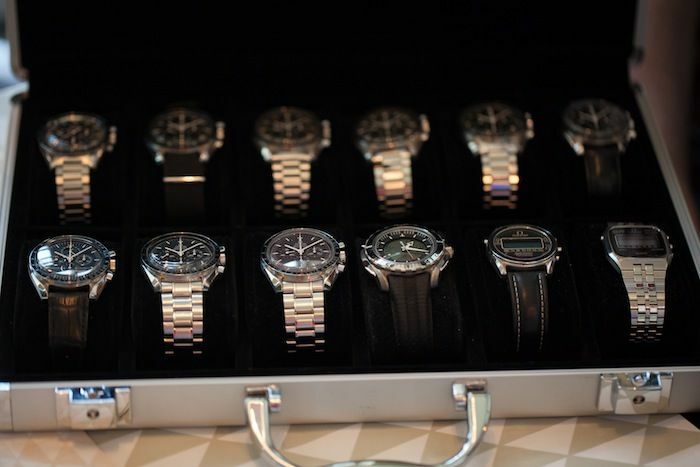 In the lower row, you’ll see another Speedmaster 125, two Flighties and 1 Speedmaster Automatic from the early 1990s. 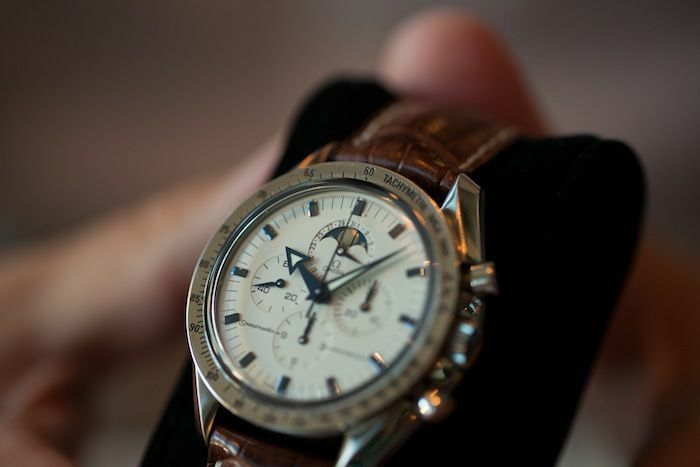 There were three Speedmaster Professional Moonphase models, this is one of them. There was also a Speedmaster Moonphase from 1985 with the German Mark V case and a Speedmaster Automatic with Moonphase. 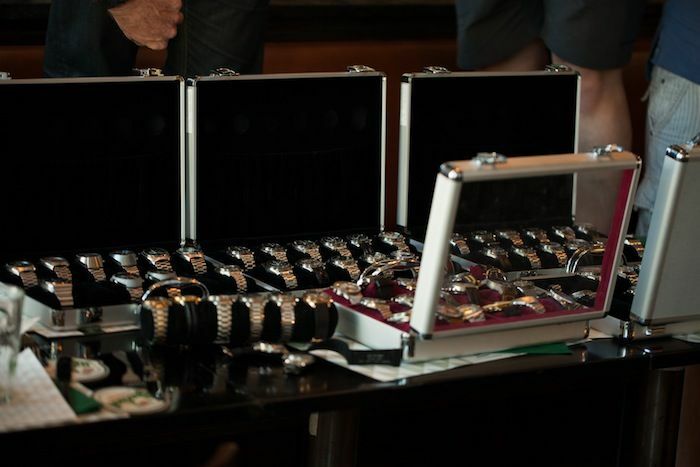 A table shot of all watches present, we counted well over 70 watches with approx 50 Speedmaster models. 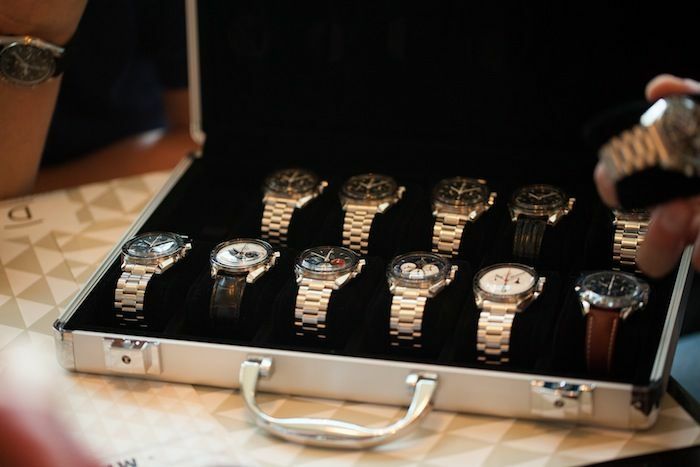 All in all, a fun day with a lot of Speedmaster watches and knowledge at the table. Later this year, there will be another Speedmaster event of which we tell you more later (and how to enroll as there will only be limited capacity).